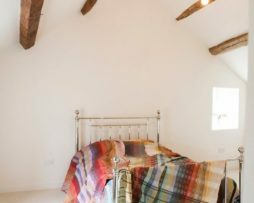 My British Woollen Blankets are knitted for you in the home of English knitwear; Leicester and knitted from British wool. My 3-D effect Tumbling Block Blanket is inspired by a 3-D quilt block. 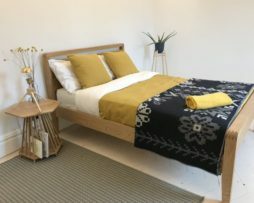 These blankets are comfortably weighty and great to cosy up in, just like my quilts. And just like my quilts, my blankets fit a double bed comfortably at 225cm by 145cm. 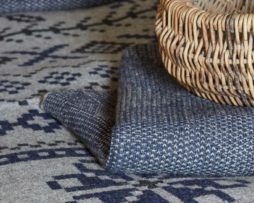 My BIG Fair Isle Blankets take traditional Fair Isle patterns and enlarges them for visual effect. 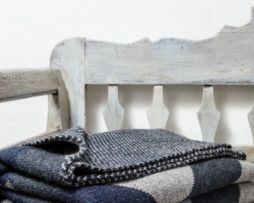 These blankets are comfortably weighty and great to cosy up in, just like my quilts. And just like my quilts, my blankets fit a double bed comfortably at 225cm by 145cm.